Two concealed vents allow airflow to the outer thighs, whilst hook and loop adjusters on the waistband give you a comfortable fit. Stretch panels are placed in the hip and rear yoke so you can move freely on the bike, whilst the DWR coating protects against water spray. 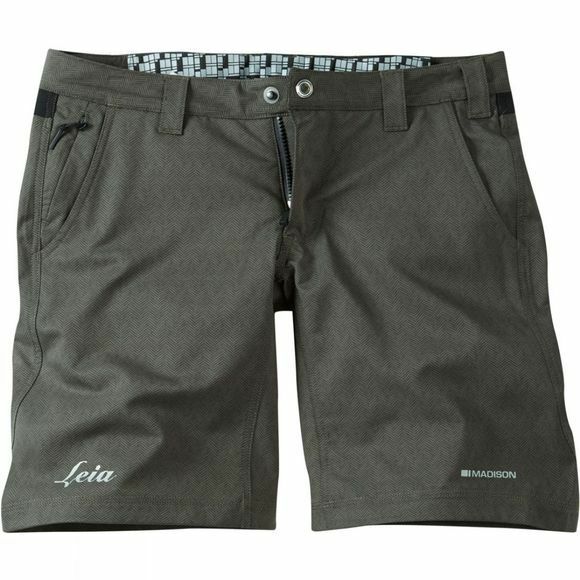 Secure storage is provided by the single zip pocket on the rear, and 2 concealed pop studs and a fly zipper keep the shorts fastened. The construction is further enhanced with double and triple needle stitching in specific areas.